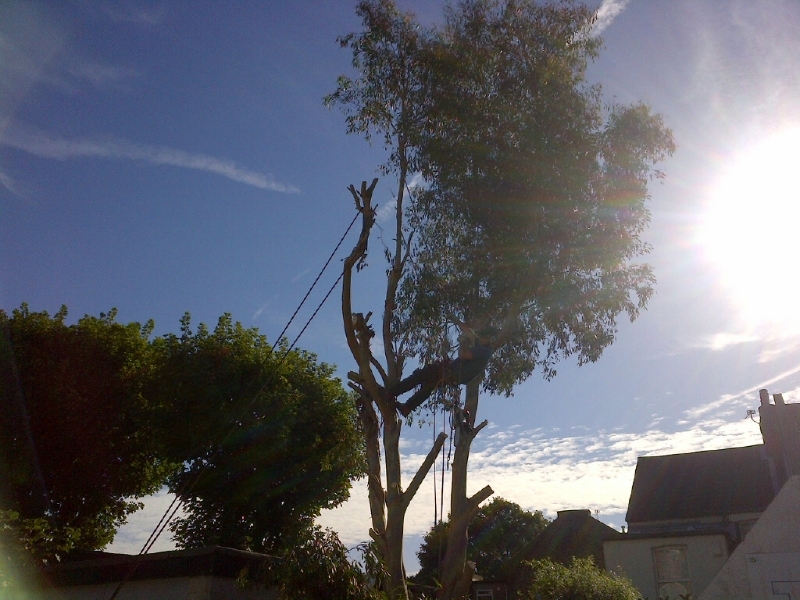 We are Tree Surgeons based on the Surrey and Berkshire Border, we offer excellent quality of work. 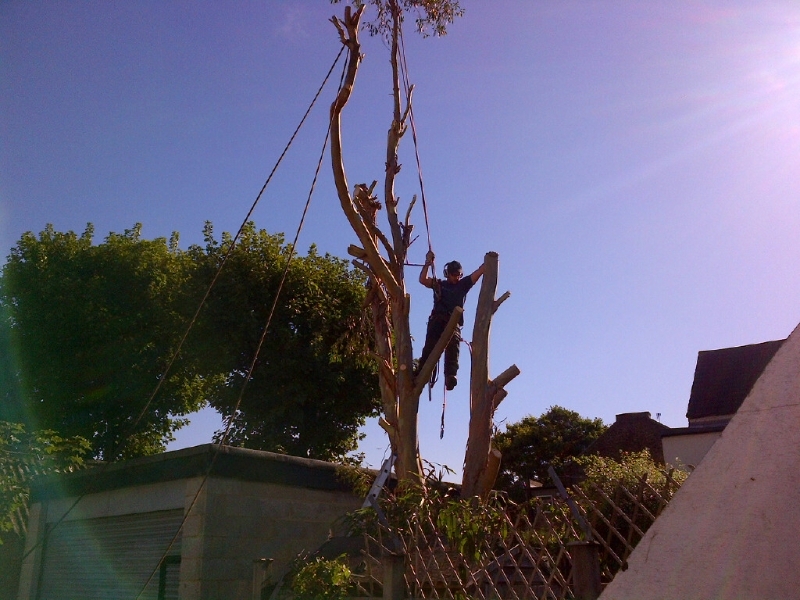 We are fully insured and qualified and are happy to undertake all aspects of your Tree Surgery requirements. 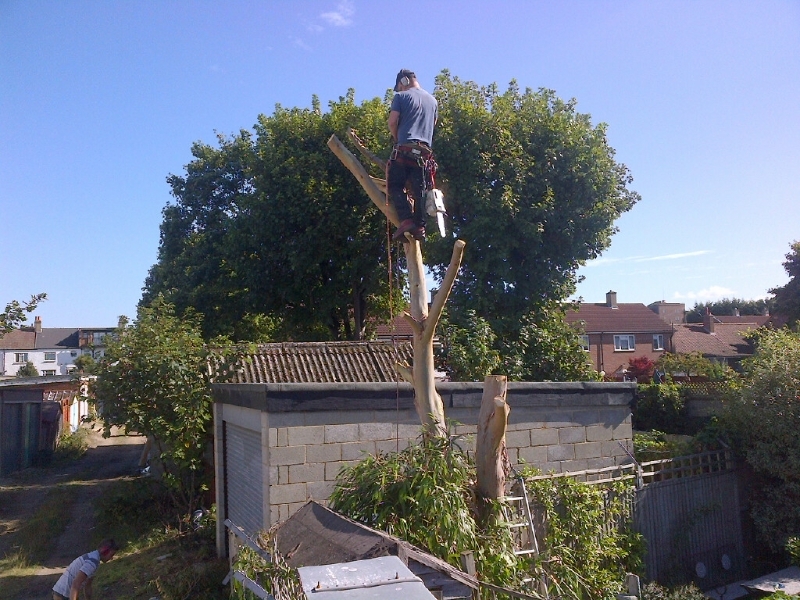 Michael contacted us looking for a Tree Surgeon – Aldershot. 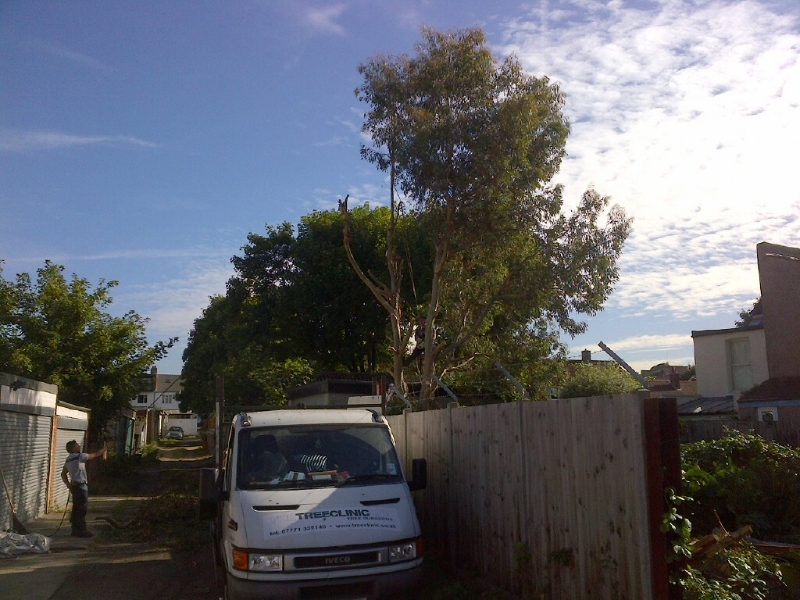 Michael had a medium sized Eucalyptus tree at the rear of his property that needed to be removed. The tree was unfortunately planted far too close to his garage and fence line. 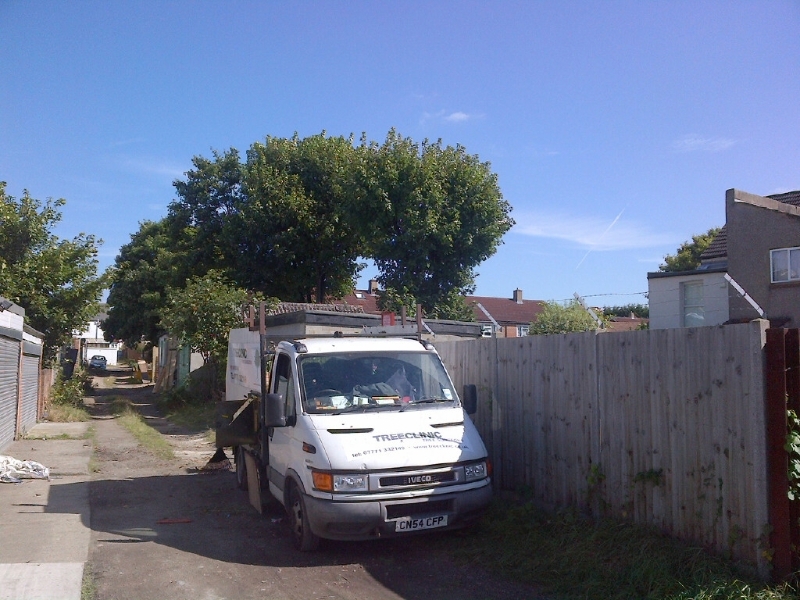 We made a visit to Aldershot and provided a free quotation, which was accepted and the works were booked in for the following week. Eucalyptus trees are renowned for being fast growing and they also take up a lot of water. Michael was concerned that the tree was pushing on his garage wall and that the roots were going to cause a problem. The tree was also pushing the fence over. It is best to consider carefully the species of tree you wish to plant and the place in which you wish to plant it. We can help advise on what species may be best suited for your garden if you are considering planting. 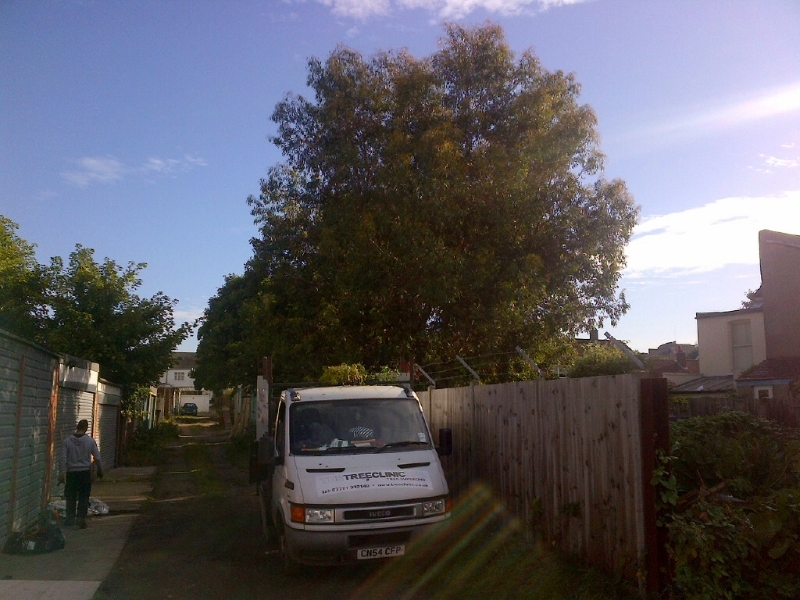 Please See the pictures below of Tree Surgeon Aldershot works.